Whether you need community service hours or you have the desire to make your voice heard, student involvement within one’s community is crucial. The ability to take action and stand above the crowd is a life-long lesson that will resonate with you for years to come. 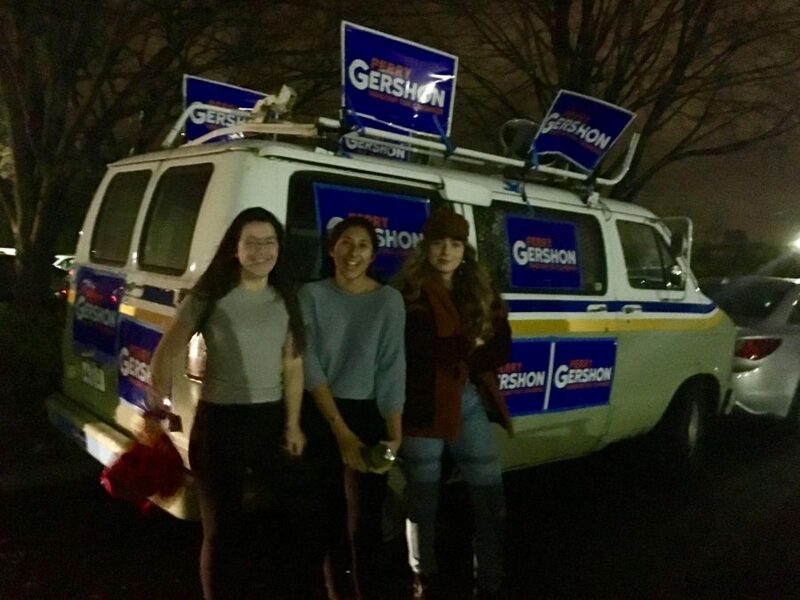 For example, within our community, Pierson seniors were given the opportunity to intern for Perry Gershon’s congressional campaign. The internship required five hours per week throughout the entire campaign, but also required additional hours on the GOTV weekend (get out to vote), the weekend before the election. During the five hour period, the interns were expected to perform certain tasks. Towards the beginning of the election, interns would go door to door, tracking the support of the candidate and later recording that information on an app, which placed the information into a voter database for future use. Along with canvassing, we would also call individuals that had registered for the corresponding party to be able better the statistics. Within our community, volunteers are always welcome. Participating in internships like Gershon’s is an amazing experience. Although I have never been one for politics, I had the chance to experience how a campaign worked first-hand. Afterward, my fellow peer that interned went to a gathering held by the Suffolk County Democratic party. Here we met people our age or older and viewed the results. The emotions of our surroundings surprised us at first but over time we began to be involved with the crowd. We felt included, even though we were the youngest among the crowd. Taking the first step and first asking around for what our town has to offer is worthwhile. Not only is it a resumé builder, but they are memories that will last a lifetime. After undergoing this experience, I can honestly say the internship for Perry Gershon opened me up to more possibilities in the future. Coming from a senior in high school, my one piece of advice to you is to get active!